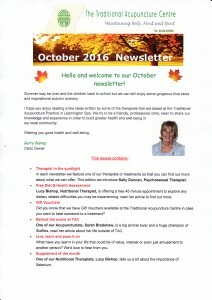 Our newsletter contains more news from the clinic including a focus on a different practitioner/therapist each issue and a ‘Behind the Scenes’ feature telling you a bit more about what we get up to when we’re not at the clinic. 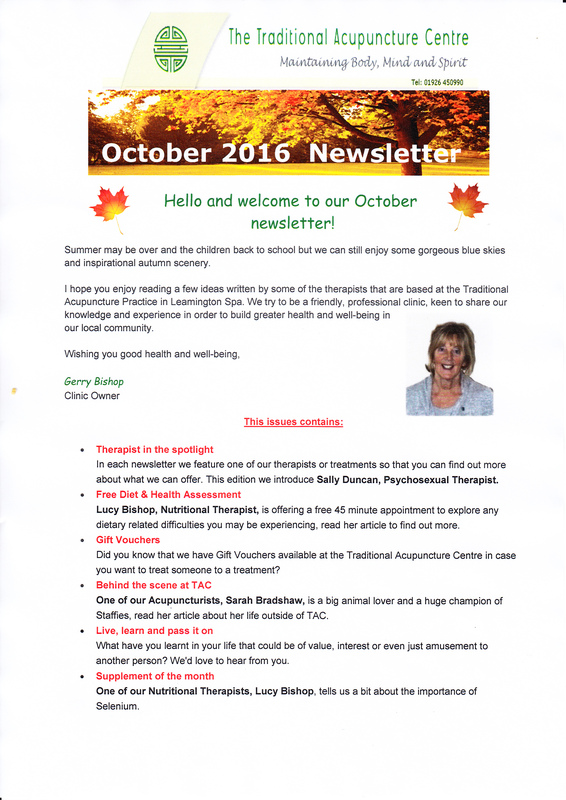 This edition features Sally Duncan, Psychosexual and Relationship Therapist, telling us a bit about Psychosexual Therapy; and Sarah Bradshaw, Acupuncturist and Reiki practitioner, telling us about her life outside Acupuncture. If you any suggestions for topics you would like covered in the newsletter please do let us know, either by email at: info@trad-ac.co.uk, call us on (01926) 450990 or even come and talk to our friendly Reception team in person!